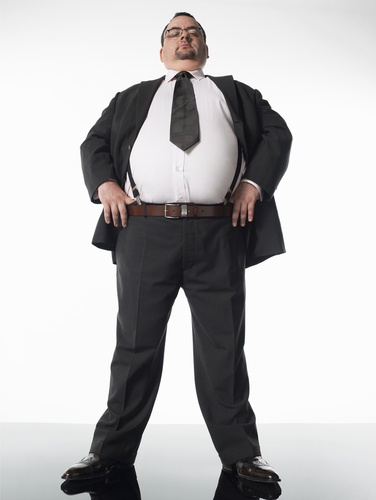 Are You Overconfident In Your Company’s Security? Office Depot recently surveyed 1-thousand small business owners to find out what they thought of their company’s security. As Steve Ragan writes for CSO, the results suggest that most small businesses are confident in their security to a fault. Of those surveyed, 77-percent claimed their business has never been attacked, while 66-percent were confident that their data was safe from any hacking attempts. Those numbers themselves don’t necessarily suggest a problem. However, half of the participants admitted that they don’t use any internet or email security. 80-percent don’t use any sort of data protection and 91-percent forego endpoint and mobile security. Even worse, 14-percent have failed to implement any security measures at all. These stats reveal that many small businesses aren’t properly secured. They are, however, targets for cyber attacks. According to this year’s Verizon Business Data Breach Investigations Report, 40-percent of the attacks studied targeted companies with less than 1-thousand employees with the majority of those being in retail or the food industry. Small businesses hold valuable data. Employee information like social security numbers and bank accounts, as well as customer payment information is all at risk. That’s not the only reason why hackers are targeting smaller businesses, however. Larger businesses also have this type of information and usually more of it. But, larger companies generally have stricter security policies, which make it difficult to hack into their network. Smaller companies are easier to steal data from so hackers target them more. Attacks on small businesses rarely make the news. But, they are incredibly costly and often doom the business. In order to avoid becoming a victim, you need to put security in place. A one-size-fits-all approach isn’t the best method, however. To truly secure your business, you need a custom security infrastructure that addresses your specific needs and safeguards the areas most likely to be attacked. For help improving your company’s security, contact Geek Rescue at 918-369-4335. The Windows XP operating system was initially released in 2001. More than twelve years later, it still accounts for about a fifth of the operating systems in use on machines. This wouldn’t necessarily pose a problem, except that, as Kelly Jackson Higgins reports for Dark Reading, XP users are at a much greater risk of malware infections and Microsoft is cutting off support on April 8th, 2014. While Windows 8 users and XP users encountered about the same amount of malware in the first half of 2013, XP machines were about six times more likely to be infected by attacks. Because the OS is so old, hackers have had more than a decade to develop malware for it and find security vulnerabilities. This means that malware attacks are likely to be highly effective because they specifically target known flaws. It’s also likely that users still using XP have not kept it updated properly. Many are likely behind on security patches and may not be running the latest antivirus programs either. Security experts chalk up the high number of users stuck on XP to its familiarity. While Windows 7 and 8 have focused on better functionality, they’re also quite a bit different from XP. Instead of learning the ins and outs of a new OS, many users choose instead to stick with what’s comfortable. So, what are these XP users risking? There are 3 types of malware that target these users the most. All are fast spreading worms that infect computers then spread to others. 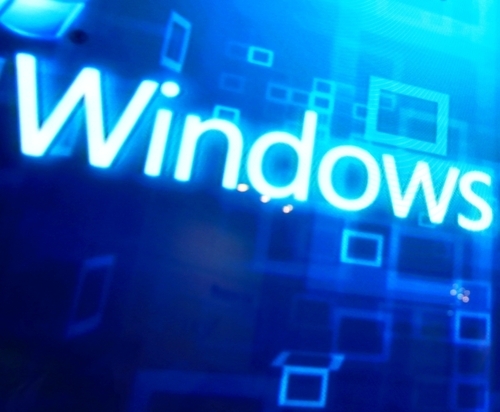 On April 8th, Microsoft won’t completely end support for Windows XP. But users will have to pay for a premium service for critical updates. Geek Rescue cleans malware infections and fixes all of your devices. Bring your device by one of our locations or call us at 918-369-4335. If it boots up or turns on, we fix it. The release of any new Apple product always dominates headlines, but it’s Samsung who’s captured the interest of the tech-savvy crowd most recently. Though it’s not due out for at least another 3 months, the Samsung Galaxy S5 is already being hailed as the next big thing in smartphones. Simon Hill, of Digital Trends, covered all of the rumors about the Galaxy S5 in his recent blog post. The Galaxy line of smartphones have traditionally been made of plastic, which some users complain makes them feel cheap. Rumors suggest Samsung may have listened to those critics and could be releasing the S5 with a magnesium, aluminum or carbon fiber design. However, others have suggested that the Galaxy F will get the metal case, while the S5 will a “faux leather polycarbonate” similar to the Samsung Note 3. Samsung’s mobile head has promised “64-bit processing functionality”, which means it will at least match the iPhone 5S. 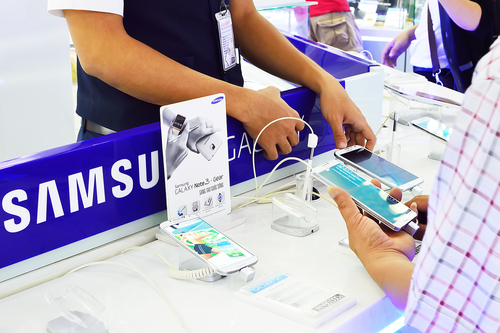 Many experts have suggested that the Galaxy S5 will also include “at least 3GB of RAM”. Samsumg is actually already producing 4GB LPDDR3 mobile DRAM so that’s seen as a possibility also. The iPhone 5S made a splash with its new fingerprint scanner included to enhance security. The Galaxy S5 could be making a similar splash by introducing an eye scanning sensor. This is probably the most unsubstantiated rumor about the S5, but given Apple’s foray into biometrics, Samsung will likely try to keep up or surpass them. Officials from Samsung have already denied that they’re working on a fingerprint scanner, but an eye scanner remains in play. Initially, rumors suggested the Galaxy S5 would get a 13-megapixel camera, which would match the camera included in the S4. Now, it seems Samsung could upgrade the camera to a 16-megapixel sensor, which they will produce themselves. The camera would also include technology that would greatly improve low-light performance. In June, Samsung released a variant of it’s latest flagship smartphone called the Galaxy S4 Active. The Active version promised to be both waterproof and dustproof. It stands to reason then that the Galaxy S5 will be both waterproof and dustproof right out of the box. Most estimate the Galaxy S5 will be released in the spring with March or April matching Samsung’s usual release cycle. That leaves months of speculation left. Whether you jump on the latest and greatest smartphone, or stick with a trusted older version, Geek Rescue in Tulsa handles repairs. 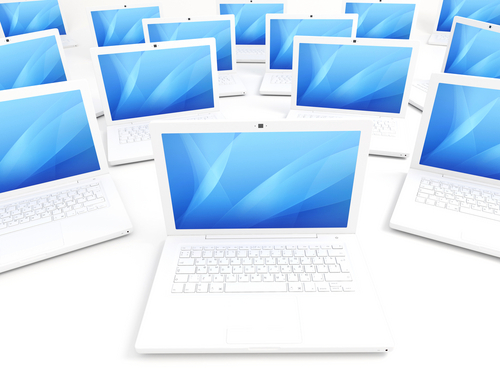 Bring your devices by for fast and friendly service, or call us at 918-369-4335. Apple recently released their new operating system for Mac users, OS X 10.9 Mavericks, and made it free to download. Similar to the early days of iOS7 for iPhones, however, Mavericks has had a rocky start filled with bugs. Apple will have to release an update for some of the more serious problems, but, as Roberto Baldwin reports for Wired, there are some fixes any user is capable themselves. Here’s a look at some of the simplest. Even before getting to install the new operating system, many users are encountering problems. Slow or stalled downloads have plagued the release, but there are some easy fixes. If your download is taking forever, go to Launchpad, the Mavericks download may be paused. In that case, just click the icon and it will resume. If it’s still too slow, hold down Option until the app icons start to bounce, then click the ‘X’ by the Mavericks download to cancel it. Try to download again from the App store and it should download much faster. Scrolling up and down seems to be disabled in certain apps, including the Google Chrome web browser. To fix the problem, you could completely delete the app, then re-install. That has worked for many users. However, if you’d rather go through that process, you can instead navigate to ‘System Preferences’ in the Finder. Then go to ‘General’, ‘Show Scroll Bars’ and select ‘Always’. This brings back your scrolling options for all apps. For enhanced security, an email client that refuses to remember your password is a good thing. Most users find it incredibly frustrating to have to put in their password every time they check their mail on their own machine, however. If Mail is forgetting your password, fix it by going to the Menu Bar, then select ‘Mail’ and ‘Preferences’. Click the Accounts tab and change ‘Authentication’ to ‘Apple Token’. Other issues encountered so far in Mavericks include Gmail not working correctly, problems with QuickLook and slow or stalled shutdowns. Apple is working to patch some of these and others require some advanced knowledge to overcome. For help fixing these bugs in the Tulsa area, come by or call Geek Rescue at 918-369-4335. We also fix broken machines and those infected with malware or viruses. Identity theft is a real and costly threat. Even though it’s well publicized, many Americans fail to take the necessary precautions to prevent it and some even take actions that make it easier for criminals to steal valuable information. As the included infographic notes, most Americans believe they’re doing enough to protect themselves online, but most also feel that they are at a significant risk of having their identity stolen. This may stem from a prevailing belief that there is no way to be completely secure. While that is true to an extent, there are certainly some steps every individual can, and should, take to protect their information. Create stronger passwords using upper and lowercase letters, symbols and numbers. Then, use a different password for each online account. Don’t post personal identifiable information like your birthdate, employer and education on social media. If you do, make sure you’re able to hide it from most users behind privacy settings. Add security to mobile devices. Require passcodes to use smartphones and tablets and install security apps. Before making any transaction online, check to see if the website is trusted and secure. Most trusted sites will use ‘https’ for secure communication. The key to keeping your digital information safe is to protect it as much as you can. While it’s true you can’t be completely immune from cyber attacks or identity theft, by taking necessary precautions you significantly decrease the risk. For additional help staying safe online, or to improve the security on your devices, call Geek Rescue at 918-369-4335. Security vulnerabilities for wireless routers are extremely dangerous. 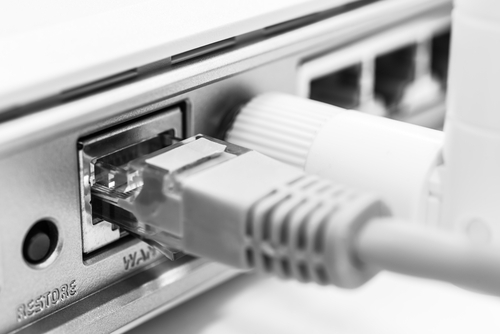 For a typical user, it’s difficult to diagnose when your router has been hacked. Making matters worse is that many users don’t know how to update with new security patches, or don’t understand the risk of not having regularly updated firmware. As Lucian Constantin, of ComputerWorld reports, these problems were clearly illustrated recently when a security researcher uncovered flaws in the security of some Netgear routers. The WNDR3700v4 model of Netgear’s N600 Dual-Band Gigabit Router let’s hackers bypass authentication when using the web based interface. When remote administration is turned on, the router’s settings and the user’s activity can be changed and monitored from anywhere. 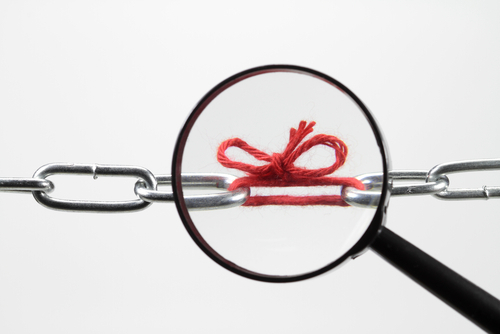 There are numerous possibilities for criminals exploiting this security flaw. Traffic running through the router could be re-routed to malicious websites, internal network services could be exposed, and data transmitted through the router can be monitored and stolen. Netgear faced a similar problem in July when the same vulnerability was discovered in the firmware of another model. They quickly released a patch, but have apparently failed to check other routers for the security flaw. Many users have also failed to take notice as one report notes about 73-percent of users with the vulnerable router have failed to update. One security expert warns to never voluntarily turn on remote administration for any device. Not only does it expose you to the possibility of attacks, but it often contains bugs. In order to protect your router, even if you aren’t using this particular Netgear model, is to use WPA2 protection and restrict access with a strong, unique password. Also, stay up to date with updates released by the manufacturer of your router. For help improving the cyber security for any of your devices, at your home or business, call Geek Rescue at 918-369-4335. Whether or not you’ve ever heard of vBulletin, you’ve likely visited a site that uses it. The software is designed for internet forums and distributed by Internet Brands Inc. As Brian Krebs reports on his security blog, a recent announcement from Internet Brands warned vBulletin users to the directories “/install” and “/core/install” from sites using the 4.x and 5.x versions of the software. This would close a security flaw. Unfortunately, 35-thousand sites failed to comply and were hacked via this vulnerability. For sites that failed to remove the directories, hackers were able to easily find vulnerable forums and add malicious administrator accounts. Once they have administrator access to a site, a criminal has a number of harmful options. A spokesman for vBulletin claims the 4.2.2 version of the software fixes the problem, as does the upcoming 5.1.0 version. However, he recommends always removing the install folder regardless of what version of the software is in use. For those sites currently running versions 4.x or 5.x, it would be wise to check for two things. First, check to see if you removed the directories that cause the security vulnerability. Then, check on the administrator accounts on your site. Make sure there isn’t an additional account that’s been added maliciously. Geek Rescue handles security for websites, networks and all kinds of devices. To get rid of existing malware, or to improve security to keep you safe from it, call Geek Rescue at 918-369-4335. Apple has officially announced its newest iPad models, Air and Mini with Retina Display. Choosing between the two is difficult, but Will Shanklin, of GizMag, has a comparison between the two to help. The most obvious difference is evident on first glance. 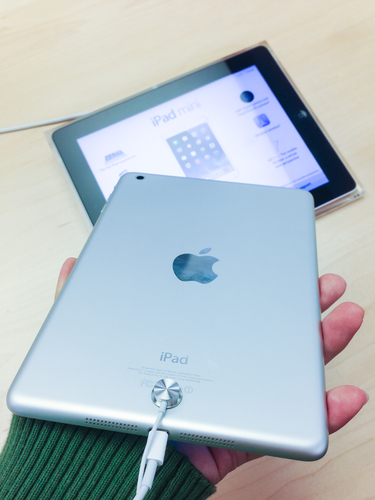 The iPad Air is a full sized tablet measuring 9.4 inches tall, 6.6 inches wide and weighs in at about a pound. The mini, on the other hand, is about 1.5 inches shorter, and more than an inch narrower. Both tablets feature slim .29 inch cases, which is actually slightly thicker than previous Minis. The Mini’s viewing area is only 65-percent as large as the Air. However, with its new Retina Display, the Mini features the same number of pixels, and a higher pixel density with 326 pixels per inch. Apple puts both tablets’ batteries at a capacity of ten hours of web use on WiFi. In terms of watt hours, the Air hold a slight advantage with 32.4W-h compared to the Mini’s 23.8W-h. The iPad air will be available for purchase November first for a retail price of $500. The Mini hasn’t gotten a definitive release date yet, but Apple promises it will be available sometime in November for $400. That’s about $70 more expensive than last year’s version of the iPad Mini. Those are the key difference between the iPad Air and iPad Mini with Retina Display. For similarities, both feature anodized aluminum construction, come in silver and white, or space gray and black and both house the A7 64 bit chip, which is the same one used in the latest iPhone, the 5S. Both also come with identical front and rear cameras run on iOS7 and offer the same storage options. Along with these two new models, Apple will continue to offer last year’s Mini for about $300 and the iPad2 for $400. Whatever tablet you decide on, Geek Rescue has you covered for repairs and security. Whether your device’s hardware breaks, or it gets infected with malware, Geek Rescue fixes it. Call us at 918-369-4335 with any of your tech problems. The Bring Your Own Device trend is unavoidable. Because of the growing trend, cyber criminals are targeting mobile devices more. It’s more important than ever to properly secure smartphones and tablets since they’re now being used to access company data and valuable information. Limiting the access each employee has is an important step to keeping your business from suffering a catastrophic data breach. As Laird Harrison, of Tech Page One, writes, there are also some device specifications that can be enabled to greatly impact security. It’s shocking how many tablets and smartphones have no security on their lock screen. Considering how many hacking stories start with a device being lost or stolen, it’s a must to require a password to unlock. The use of Apple’s new biometric recognition is another good step. When your device is dormant for an extended period of time, the screen should turn off and require a password to continue using it. This is called inactive time-out. Not only will it help to improve battery life, but it also makes the device harder to hack since it erases the possibility that a thief could find the device and use it without knowing the password. By adding programs and enabling some options, you’ll be able to remotely view the data stored on a lost device. You’ll even be able to disable some applications and erase data that could be harmful in the wrong hands. It’s a good idea to encrypt all data stored on mobile devices, but at the very least, encrypt company related information. There are a number of programs available that will effectively encrypt the most vital data on your device. 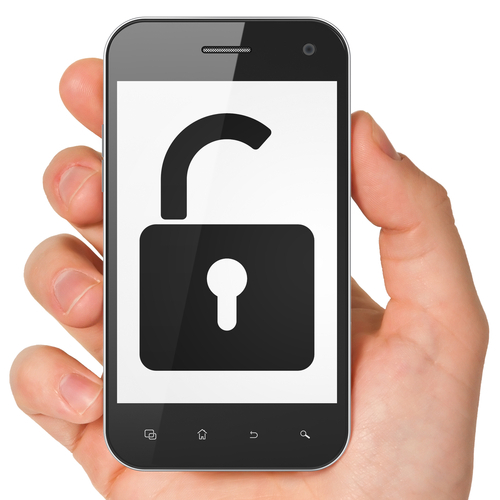 These are just a few options mobile users can enable on their device to make them more secure. If you’re using a personal device to store or interact with company data, these are certainly necessary precautions. Even if you’re only using your device for personal use, these are still good ideas. For help increasing the security on any of your devices, or to recover lost data or fix a device that isn’t working right, call Geek Rescue. If it boots up or turns on, we fix it. Call us at 918-369-4335.